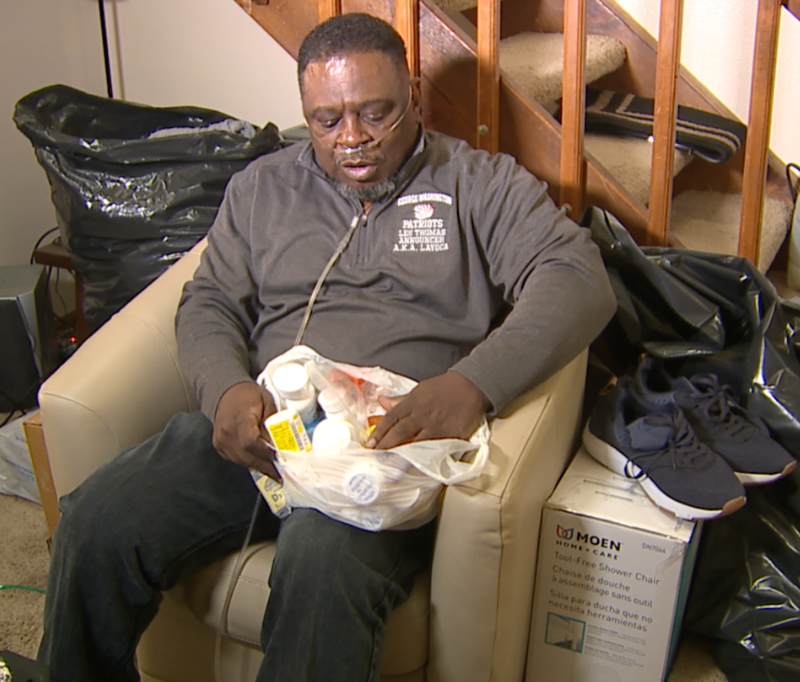 A local Air Force veteran says he’s not only fighting Stage 5 chronic kidney disease but also being evicted by his landlord for missing his rent payments because he was in the hospital getting treatment. AURORA, Colo. — A local Air Force veteran says he’s not only fighting Stage 5 chronic kidney disease but also being evicted by his landlord for missing his rent payments because he was in the hospital getting treatment. Les Thomas, currently on oxygen and a variety of kidney medications, claims that while he was receiving inpatient care at the Aurora VA hospital for two weeks in January, his landlord put a notice to vacate on his door. A judge gave him until Friday, Feb. 8 to move out. “I have no family, no one to help me,” he said through tears. Thomas says the disease itself is "ugly," and that he has a tough time even walking through his apartment. He is waiting for a surgery at the VA that would allow him to receive dialysis. “If I don’t have a place to live or some place to go, the VA is never going to give me my surgery,” he said. Thomas is currently out of a job and unable to land another due to his current medical condition and the potential for upcoming surgery. He was a longtime basketball announcer for George Washington High School and other Denver Public Schools. Contact7 reached out to Thomas’ landlord for comment. She claimed the vet had been late on other rent payments – something he disputes. She provided bank statements showing deposits on the 2nd, 3rd, 4th, and 7th of the month, and added over the phone it was “not my problem” that he was being evicted. “It’s just too much for one person to bear or deal with,” Thomas said. Both Thomas and Contact7 reached out to the VA, which has a waiting list for housing. Thomas was offered a spot at a local shelter, but given his illness he says he can’t stay there. Facing an incurable disease and with only days left until he’s homeless, the 63 year old started packing up his one-bedroom townhouse. He had one hope.